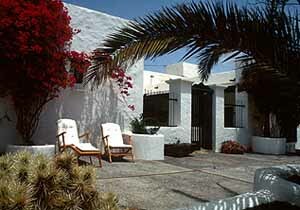 Discover the Monumento al Campesino y la Fertilidad House Museum in Lanzarote. 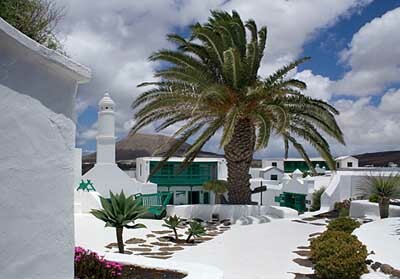 The Monumento al Campesino Museum is located in the town of Mozaga in the municipality of San Bartolomé in the middle of the island of Lanzarote. This Museum was designed by the famous architect César Manrique and its is formed by a group of building from which we highlight the semicircular plant that articulates around a quiet square from which you can get to different annexes. In its interior you might see many different tools and objects agriculture related as well as with lanzarote’s typical culture. Next to the museum you’ll find a monument made with old water tanks and other painted objects. Junto al museo encontrarás el monumento, realizado con antiguos tanques de agua de barcos y This is one of the must-see sites on your trip to San Bartolomé. Spend some time and enjoy looking at this vanguard lanzarote architecture. Carretera General Arricife - Tinajo, Lanzarote.